The World Bank explains how mini-grids are accelerating electricity access for the rural poor and describes programs and funding to help. The World Bank will delve deeper into the topic at “Upscaling Mini Grids for Least Cost and Timely Access to Electricity Services,” which will be held in Nairobi, Kenya on May 23-27. About 1.2 billion people currently lack access to electricity and, according to Independent Evaluation Group. If the pace of new connections made during 2000–10 continues for the next 15 years, and population growth is taken into account, the number of people without access in low‐access countries would rise by an additional 40 percent by 2030. To turn this trend around and to meet the Sustainable Energy for All (SE4All) goal of universal energy access by 2030, mini‐grids are expected to play a critical role. 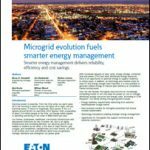 While mini‐grids have a long history and were an integral part of the power sector development of many of the current high‐income countries, they are only now emerging as a scalable option for meeting the energy demand in Sub‐Saharan Africa, South and East Asia, and Small Island Developing States. In these areas, mini‐grids are a least‐cost and timely option for more than 120,000 villages and towns. However, recent technological and institutional innovation, combined with an overall cost reduction have made them an attractive alternative. In rural areas, mini‐grids now have the potential to provide high quality energy for productive uses to communities that otherwise might be waiting for years for grid connections. And as decentralized generation, electrical storage systems, smart meters, and efficient appliances continue to come down in price, independent power producers will find innovative ways to bring electricity services to new customers at affordable costs. For example, in Tanzania, small power producers are now able to sell to customers without going through a lengthy licensing process. In India, remote mobile phone towers, which would otherwise be powered by stand‐alone diesel generators, are serving as ‘anchor customers’ for new clean energy mini‐grids. However, a lack of knowledge and exposure to proven practices available around the world continues to create regulatory, commercial, and implementation barriers that hold back the expansion of sustainable mini‐grids. In response, the Energy Sector Management Assistance Program (ESMAP) initiated a Global Facility on Mini‐Grids to accelerate the pace of electrification to large groups of people by upscaling least‐cost mini‐grids into World Bank Group operations, as well as develop the knowledge associated to achieve this. Technical assistance and operational support to project identification and preparation—an initial pipeline includes potential new operations in Rwanda, Ghana, Liberia, Congo DRC, Mali, Myan‐ mar, Nepal, and India Support to supervision of projects under implementation with technical advice to project teams—an initial pipeline includes operations in Tanzania, Kenya, and Mali. Under this pillar, the facility supports activities to develop the required knowledge to assist in achieving the first objective. 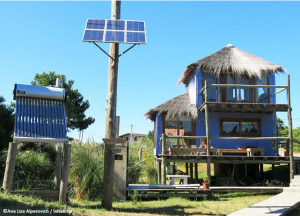 This development will look at the experience of mini‐grid projects worldwide and dissemination proven practices through partnerships, including the Clean Energy Mini‐Grids High Impact Opportunity of the SE4All initiative. The Global Facility is designed to complement a range of programs being implemented in the area of clean energy mini‐grids by other development agencies. In particular, the facility constitutes the knowledge management component of the Green Mini‐Grid Market Development Program, supported by DFID in Africa with other implementing partners, such as the African Development Bank and the Rural Energy Agencies of Kenya and Tanzania. The facility also collaborates with the Clean Technology Fund (CTF) and the Scaling‐up Renewable Energy Program in Low‐Income Countries (SREP). The CTF and SREP are supporting the scaled‐up demonstration and deployment of renewable energy in middle‐ and low‐income countries, including clean energy mini‐grids based on renewable energy technologies, storage in systems with variable renewables, and renewable energy‐diesel hybrid systems. ESMAP is in dialogue with Denmark to become a contributing partner to the facility. Knowledge outputs under the facility will directly benefit client governments by informing their policies and programs to attract private sector investment for clean energy mini‐grids. Such outputs (i.e., research studies, case studies, and guidance notes, will also be used by World Bank operational teams and partners, and will be widely disseminated through events organized by the facility and through SE4All’s Clean Energy Mini‐Grids High Impact Opportunity. Reprinted with permission, World Bank ESMAP. For more information on the conference, “Upscaling Mini Grids for Least Cost and Timely Access to Electricity Services,” contact Jon Exel, senior energy specialist for ESMAP’s Energy Sector Management Assistance Programme, 202.473.3155, jexel@worldbank.org. The conference will be held in Nairobi, Kenya on May 23-27.